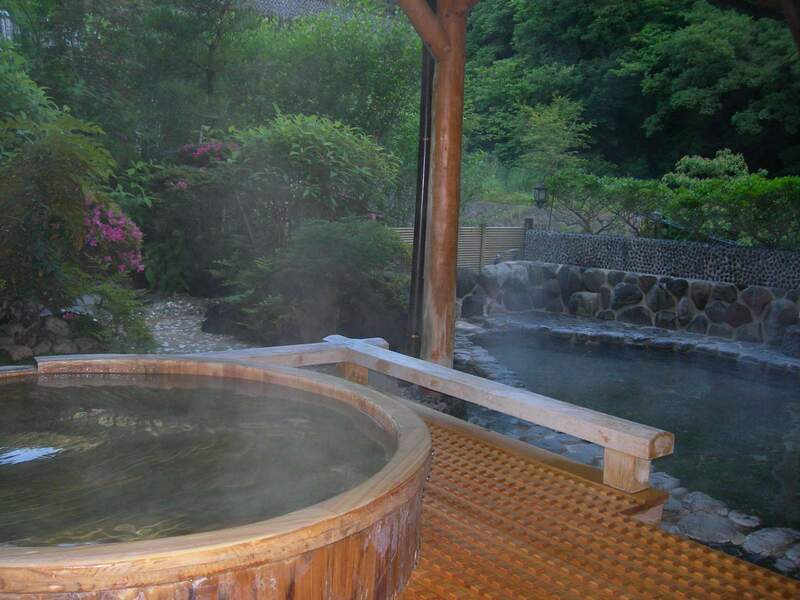 Hakone is a town 80 km south of Tokyo, mainly famous as spa town for its onsen, but also because it is near the Lake Ashinoko and Mount Fuji. 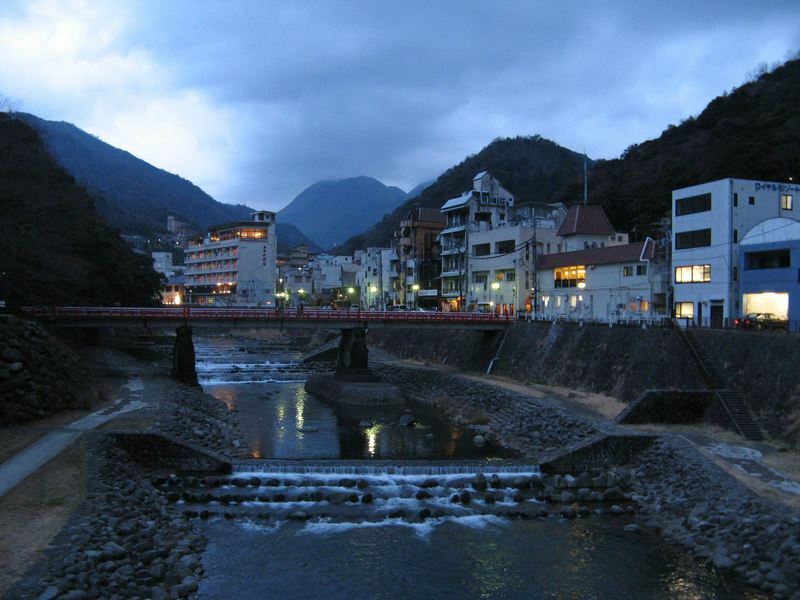 Coming from Tokyo you will probably arrive at Hakone-Yumoto station, that is located in the most famous zone as regards onsen (hot springs) and ryokan. 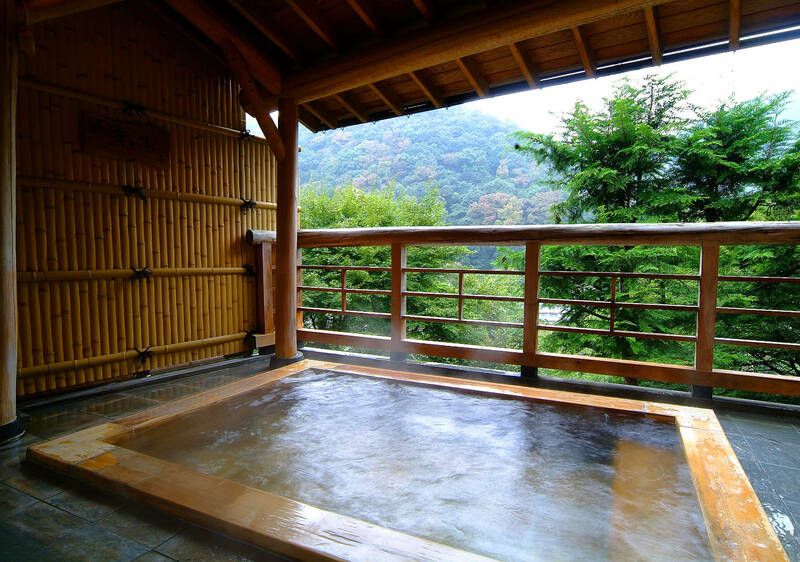 You can enjoy the hot springs staying one or more nights in a ryokan, or just for a few hours in one of the many public onsen (bath-houses) opened during the day. If you want to try the typical japanese experience of bath in an onsen, Hakone is probably one of the best places because it is a tourist place and spas are accustomed to expect westeners, while in general many sento and onsen scattered around Japan look at non-japanese a little warily or anyway communicating is complicated. 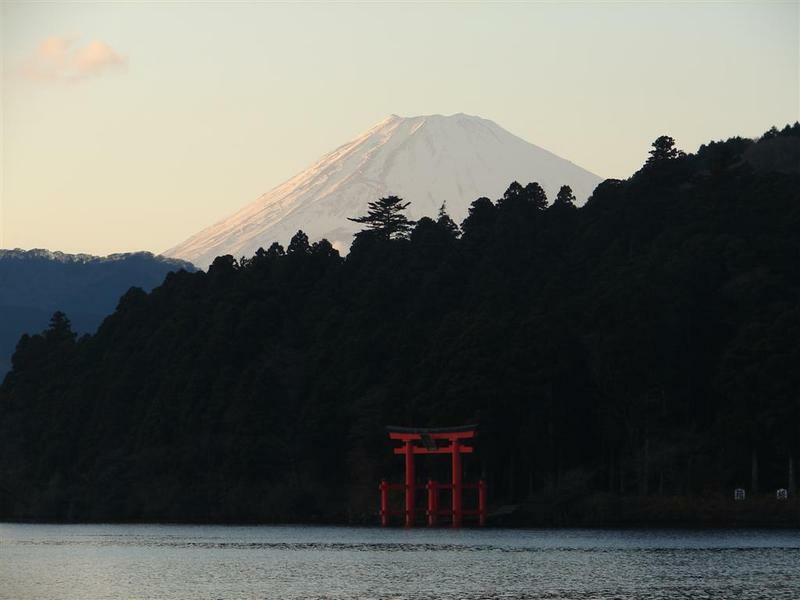 From the banks of lake Ashi looking north you can often see and take beautiful photographs of the lake with Mount Fuji in the background, but sometimes it is hidden by clouds (in winter is generally longer possible to see it). The most interesting area on the lakeshore is Moto Hakone in the south, which can be reached from Hakone-Yumoto station by buses of Tozan company. 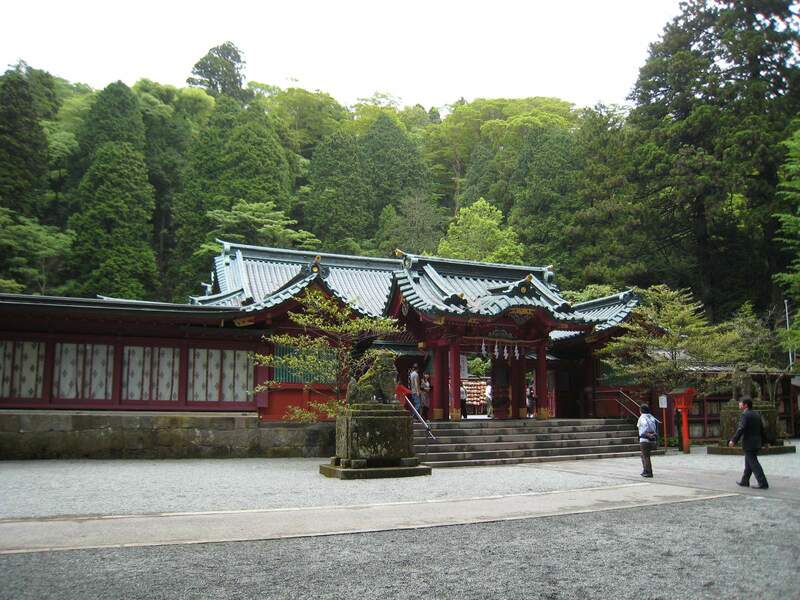 Approximately 5 minutes walk from Moto Hakone, walking north on the banks of the lake, you get to the Hakone shrine (Hakone jinja), a Shinto shrine founded in 757, whose red gate (torii) knocked in the lake is very renowned. The mood around this place is very charming, the sanctuary is in fact surrounded by a forest. Moving south from Moto Hakone (towards Hakonemachi), about 1 km away, there is a kind of peninsula on the lake where there is an ancient summer residence of the imperial family (Detached Palace) that can be visited free of charge. 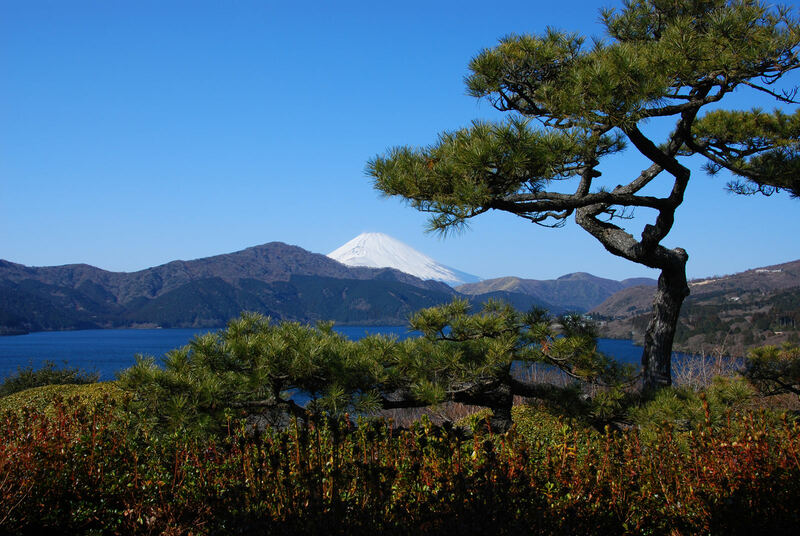 But the most interesting thing is the surrounding park (Onshi Hakone Park) with several points from where you can admire the lake (and possibly also Mount Fuji) from a slightly elevated position. At this link a useful english pdf with a map and various information. From the docks of Moto Hakone (and from the near Hakonemachi) some curious boats with a "pirate ship" design leave, they cross the whole lake from south to north and reach Togendai, from where you can eventually take the cable car to Owakudani, another very famous place in Hakone (see a little further down). 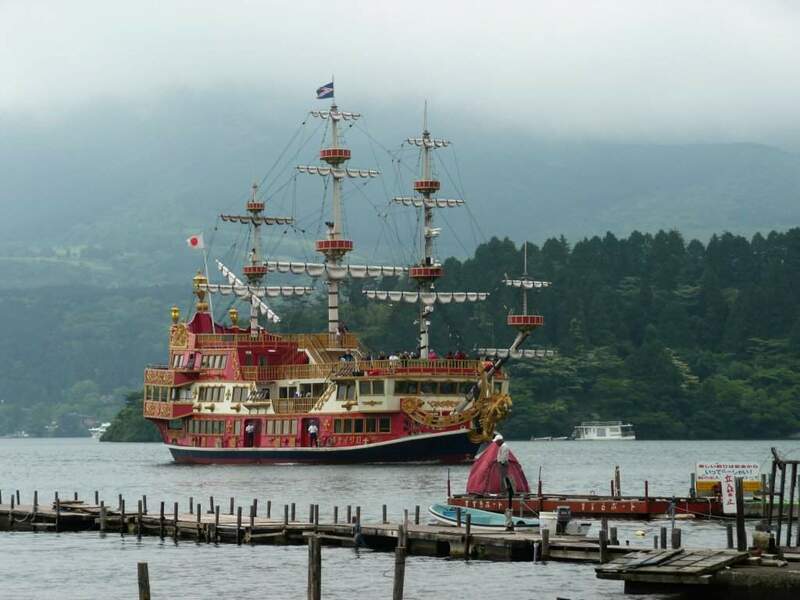 A boat one-way trip costs 970 yen, a round trip costs 1780 yen. At this link a useful pdf in english with maps, schedules and other info. 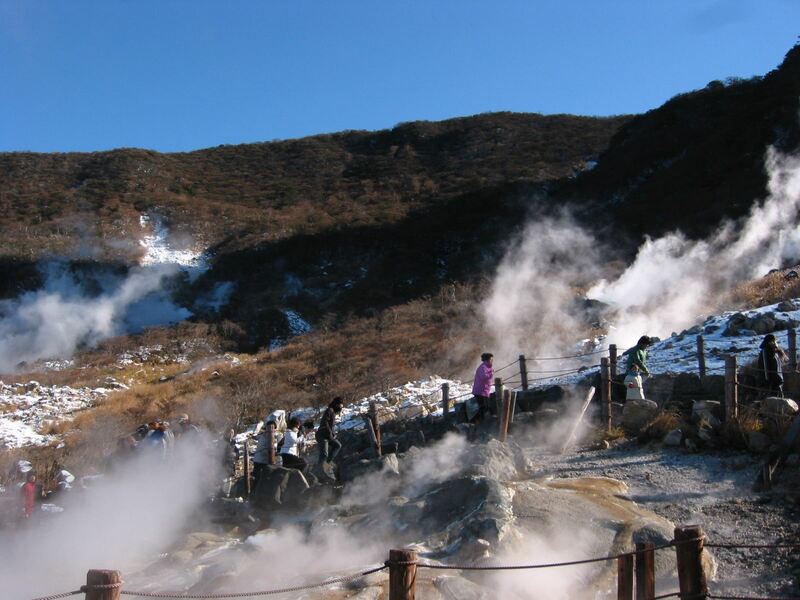 It is an area formed during an eruption about 3000 years ago, characterized by several volcanic phenomena, sulphurous fumes and hot water springs. 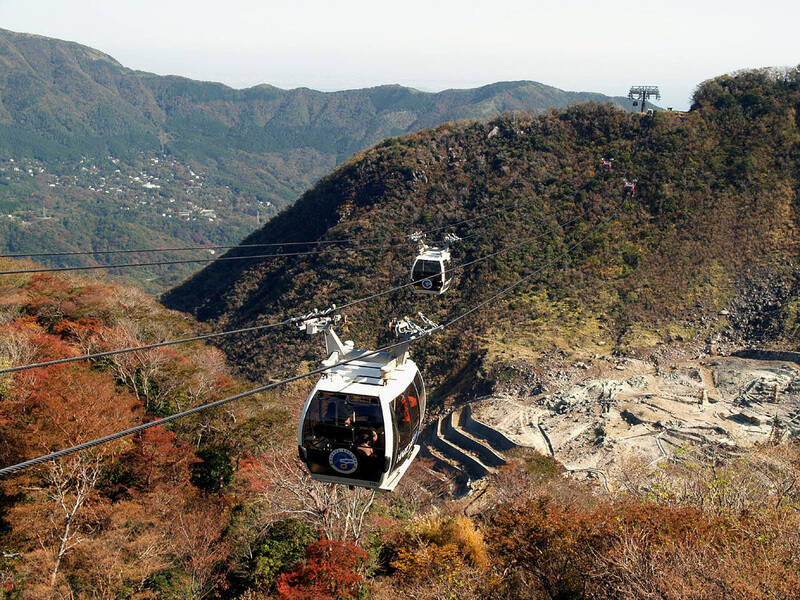 It can be reached by ropeway (Hakone Ropeway) that departs from Togendai and it takes 16 minutes to get to Owakudani. The ropeway then goes on to Sounzan, from where you can take the Tozan cablecar (a funicular railway) to Gora. 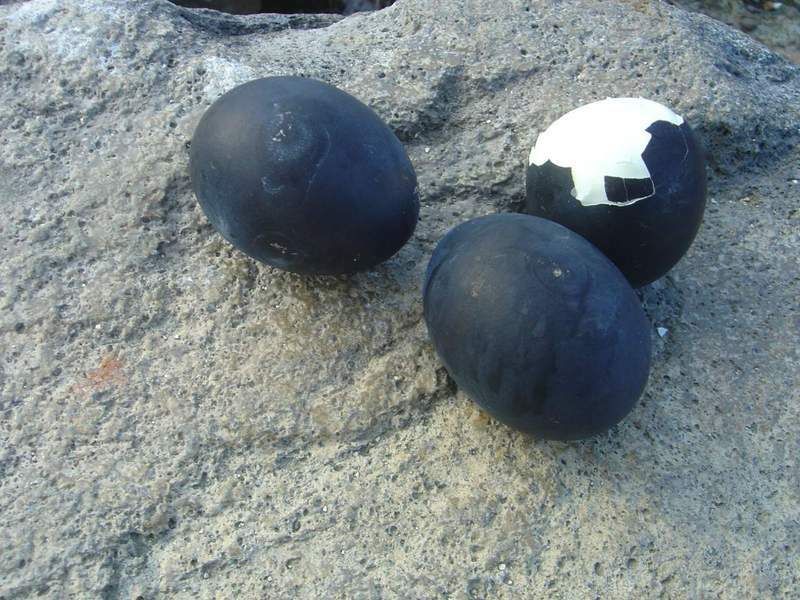 Still speaking about Owakudani, typical are the black eggs (kuro tamago) boiled in the hot springs, whose shell become tinged with black because of the vapors, you can find various vendors in the area. A legend says that eating these eggs extends the life of 7 years. -Limited-express trains with reserved seat, called Romance car, with departures every 30/40 minutes, they take 85 minutes and arrive directly to Hakone-Yumoto station. 2020 yen one way. -The Odawara line (non-reserved seats) that reachs Odawara station taking 93 minutes, it costs 850 yen one way. At Odawara you have to change and take the Hakone Tozan line to Hakone-Yumoto station (18 minutes, 300 yen). Using JR lines, then traveling "for free", you can get to Odawara station, from then on you have to pay for the Tozan railway line to Hakone. From Tokyo you could even take the Tokaido Shinkansen, that reachs Odawara in just half an hour from Tokyo station or Shinagawa station, however few shinkansen stop at Odawara (only the "Kodama" trains). Alternatively you can reach Odawara from Tokyo by JR from Ikebukuro/Shinjuku/Shibuya station also taking the Shonan-Shinjuku line or from Tokyostation/Shinagawa taking the Tokaido Main line. If you haven't a Japan Rail Pass, the shinkansen must be escluded (3640 yen), the Shonan-Shinjuku line/Tokaido Main line cost about 1450 yen and take 70/80 minutes, to which to add 300 yen to Hakone with the Tozan railways.